To help the reader, this channelling has been revisited [by Lee and Kryon] to provide even clearer understanding. Sometime information is even added or condensed. Often what happens live has implied energy within it, which carries a kind of communication that the printed page does not. So enjoy this enhanced message given in Santa Fe. Greetings, dear ones, I am Kryon of Magnetic Service. When you take a look at the various places on the planet, some of them have very different energies. It's a hard thing to explain because you don't see the energies that are there, but you can certainly feel them. Many times, the result of a Gaia cooperation with humanity in a certain way can create pockets where people will clump and live because the energy there will enhance what they do. In the case of metaphysics, you're in one of those special places now. This town of Santa Fe, for hundreds of years - even before your culture arrived - was known as a healing place. It's an interesting phenomenon where Gaia supports the Human Being in their healing work, connecting to the land with profound energies. All over this planet there are pockets like these and the interesting thing for you is that they are not always in pristine places. Some are in ordinary places that have extraordinary energy. So, what I want to do is address the metaphysical workers in this channelling, the ones who are finding themselves in these places with unique issues. In these areas, healers tend to clump together. It's not just here in your country, but all over the planet. So, I want to specifically address the ones who are doing the work. Multidimensional energies on this planet are changing. Part of the light/dark relationship is changing, and it's what we have discussed earlier today. The energy is starting to shift and the ratio of light to dark is starting to change and it affects everything here. We have only "scratched the surface", as you say, in our attempt to describe the multitude of changes that begin to occur because of it. We started speaking of consciousness shift and the way people are starting to think differently, but there's so much more. Yesterday we described how the various reflections that you might have of your past can now be designed and changed. You no longer have to live with the sorrow and the suffering of difficult memories, just because they etched themselves into your mind. Instead, you have a new kind of control over these things due to the new light/dark balance. The Human past, dear ones, was often really tough. It was tough because darkness always seemed to win, and that has been "the way of it" for almost all lightworkers, healers, readers and meditators. It has been tough going for centuries. Now, almost every healer here or listening to my voice is probably aware of continuing what I would call "an expression". Let me explain. An "expression" is a return journey to Earth by the same soul (reincarnation). What I'm telling you is that what you are experiencing now is not the only time you've done this. You have awakened as a lightworker in this world many times. It seems to be intrinsic in the Akash that shamanism or the understanding of multidimensional energies seems to sail through the veil and enter into a Human Being's next life over and over. So, healers beget healers and they continue to get wiser with each life. However, the bad news is that the Akash carries a remembrance, a reflection of "the times when it didn't work" because of old energy in times where you were persecuted for who you were. Many of you had to flee the country or worse. This planet needs you. You have a lineage of healing, of meditating, of facilitating, and you might be what they call a prayer warrior, where your meditations change things around you. You understand being in coherence with the planet. There are so many of you who do many different things that help this planet in places like this. You're unique and that's who I speak to now - unique energy workers of this earth. You are the unique ones who have these gifts now and have had them for eons. Sometimes a healer will awaken and become a healer again and then will seek out friends and family. However, most of the time a healer will awaken as a healer and become a hermit. The reason for that should be obvious. It's because it didn't work before and the more people who surround you, the less chance you have of survival. Even during the tribal days, the healer lived on the outside of the village and the members of the tribe came to these healers one at a time. Unfortunately, you were also linked somehow with the weather. If the weather didn't shift correctly at the right time, the tribal people would beat a path to your door to tell you that you were in trouble for it. The very first thing I want to say to you is that there is light today that wasn't there before. Even that Akash that you carry and you're afraid of can now have light where only darkness existed before. In other words, the actual dark memories have different remembrances and perceptions because today you have the wisdom to revisit them in a wiser fashion. You can now say to those darker memories,"That was an old energy and not representative of me today. It does not represent my power today. Today I have the wisdom to go back and see these dark things in the light." That is very different from a few years ago, for heretofore you've only been able to go back and see it as a horrible thing that affects you every day. Wisdom is this way. You might say wisdom is a soft light that covers everything and allows you to see situations and events differently. Today you can make soft decisions based upon a wiser countenance. There are no knee-jerk reactions. Today you are able to say the correct things and even be so wise as to speak to your own Akash and your own life. That's a gift of the new energy healers. They start to see themselves for who they are in a different light. That's the first thing I want to give to you. As a healer, meditator, prayer warrior, facilitator or helper of Human Beings, you have always carried this. These talents carry through the veil, lifetime after lifetime. However, it's time to drop the past that has hobbled your future. That's only the first thing. Your light lets you create a different perceived past. It lightens the load. I am speaking to a group of lightworkers and old souls who are about to explode in their abilities on this planet. Explode means that they're not just going to be noticed, but rather they are going to be sought after because what they have works. It will be the beginning of a true paradigm shift, where even the medical community says, "There are things that we don't understand yet, or can explain yet, but we see it working and we accept it." Already, in certain countries, there are indigenous leaders being invited to find the best healers of their tribe for mainstream medical institutions. Those indigenous are coming into hospitals and they are being welcomed! The reason is because it works. It's important to remember that the core level of doctors and nurses and helpers are located where the people are bleeding. This is what their passion is - to help people who are sick and hurt. They really do want to create healing. Sometimes the medical industry gets a bad name because of all of the politics and chemistry and the other dysfunctional things that go with it, but at the core level, medical professionals want to help people. So, when the alternate healers start to show up and begin actually healing people in unexplained ways, those doctors and nurses will take notice. An older paradigm tells you that they may instead say, "Wait a minute. You can't come in here! You are not qualified and we don't understand how you're doing what you do." Believe me, when they see results over and over, they're going to say, "Please come in and work with these people! We'll talk about why your methods work later." They may even build a wing of the hospital for it! The change in attitude is because many of the healing techniques you have are working. This is coming, dear ones, but it won't be here until you explode into this new, wonderful ability that is starting to kindle itself in all of you. I have so many suggestions, but the first one you're going to hear from me is to drop the fear of the past. Say to yourself, "That was then and this is now." I just told you that your time is here. I also just told you that in your next life you're going to continue as a healer if you choose, and the continuation is going to be a lot different from what you've experienced now. In the next life, you'll awaken with a remembering of how to do exceptional things. You will naturally know how to work with multidimensional energy, which others can't fathom yet. But you will use it daily. It's the beginning of an old soul revolution, where these healing attributes will be seen first, above anything else you might have. Think about it: This is what the public wants! If many are starting to do it, in an age of instant communication, thousands will know and the floodgate will open to healing that is new and efficient. Imagine you are a patient, reporting to a healer of these future times. Not only do they balance your body, but disease itself starts to ooze out of your cells! It won't have a choice, since the body itself is "receiving the instructions" on how to eliminate it. Can you imagine then, in subsequent years, you look in the mirror and realize you're not aging as much? Health and balance do that! Then you start to realize your body didn't just heal, it received an instruction set from the boss (you)!Multidimensional healing is almost like consciousness homeopathy, where the body receives the information to process things itself. Multidimensional energies also speak to the Akash of the soul and also to the innate of an individual. A full-body healing doesn't mean just all the organs and the mental processes, it means dealing with perceptions of the past. Imagine such a thing! This is the powerhouse that I'm talking about in the ones who I speak to now, and some of you are smiling because you expected it. But for others of you, listen up. There is a smaller group of very profound healers who have stopped healing. You've stopped healing because you're not getting the signal anymore. When I say the signal, only a healer will understand. Healers, listen: There's a certain multidimensional perception or feeling when you approach a situation or a patient. It's a feeling that has a special personal energy, a confluence of togetherness with your own consciousness. Then you simply know what to do. It's a knowingness, a gift. Others don't understand the knowingness because they don't have the perceptions you do. This lack of understanding was yesterday's historic problem. The public didn't understand you and you were perceived in a dark and fearful way. Today's lack of understanding is now responsible for being accepted and welcomed. You can heal, and that's very desirable. People want your perceived magic. There is no fear. But what if the knowingness stopped? For many healers, suddenly, for some unknown reason, the knowingness simply vanished. There's no coherence anymore with the Universe. Many called it "connection with the universal core truth", which allowed your knowingness to work and your healing ability to always be there. Then it stopped. To some healers, it was frightening and depressing, for it's all you do. What's next? For some of you who are still young, it seemed to be a time to retire! But it happened to many all at the same time, just in the past few years. It seems that as light came into this planet, your gifts disappeared. So, if this is you, I'm here to tell you something and talk directly to you. I'm talking to the ones who had this happen or are having this happen, who are listening to my voice or reading this right now. I will tell you a basic, simple truth: Dear ones, the knowingness changed frequencies! Like the metaphor of a radio station that you are listening to, the communication changed frequencies. You're tuned to the wrong station or no station at all. Many of you felt that you had done something wrong, or perhaps the actual healing was starting to disappear for the planet. Listen, for the truth is very revealing. Metaphorically the frequency that is now being broadcast to the healer on this planet is in a far greater spectrum than the old one. It's enormous! But if you're not ready to tune to the enormity of it, you think it stopped. Do you understand? It didn't stop at all. It simply moved and got bigger. So, to those hearing and reading me now, I give you these instructions. If you want to continue, I want you to go into a state of meditation - an understanding wisdom that only you can go to - and say to the Universe or to spirit or to the ancestors or to whomever you think is listening, "I am ready for the new frequency, which is going to enhance everything that's within me. I intend to continue my work as an old soul on this planet. Give me direction and wisdom to allow this change in me." Then expect it! This gets right back to free choice, doesn't it? It also gets back to the fact that fear can stop you. Fear of the past, fear of the present, fear of the future all can stop you. You're a Human Being like everyone else and fear is part of the duality. However, you are a Human Being with special abilities who can sense dimensions. You can sense and work with the spectrum outside of the normal four dimensions that humanity lives within. You are looking at and working with a multidimensional energy that speaks to the Human cellular structure. That's who you are, and it's beautiful. So that was the second thing I wanted to cover. The first thing, again, was the ability to temper the past with the wisdom and understanding of a new today. It's the ability to understand why something happened in an old energy, so you can move on. It requires dropping the fear to look at it or believing that it may happen again. It won't. You are on a new path. Number two was the understanding that the energy of your knowingness never stopped. Instead, it simply changed channels. Now we're asking you to get to the right channel, and it's not that hard because you have help. You have an innate inside you that knows you better than anything else and that has been sitting there yelling at you to change channels while you've been in depression andretirement (as a healer). It's your choice. And now the third one - a review. Now, this is controversial and always has been. It's because there are always those who will say,"Spirit, God, whatever you call it, is the same yesterday, today and forever. Therefore, Mr. Kryon, I'm not going to change a thing because God never changes. The processes are sacred and also never change." I agree with you, dear ones. The love of the creative source is pure and has never changed and never will. But your relationship to that source always changes and the relationship to the creator is the tool set of the healer. You've got to change your ways, habits and ideas about how things work with energy. Do you understand this? Everything you have been doing all your healing career is based on an old dark/light balance. So, the first thing I tell you should be the best news, but it's also the most difficult thing to do: Stop that which you believe is needed due to an old relationship of dark to light. Listen, you don't have to clear the room. You don't have to clear the tools. You don't have to spend time here, there or face certain directions in order to get aligned. All that was indeed needed because of an older energy where darkness was everywhere. Now your soul's Merkabah clears it automatically. You walk into the room and darkness leaves! How do you like it so far? I challenge you to test this. For those of you who can sense energy, test it. However, it won't work if you're carrying fear with you. When you're about to open the door and test it, if you say, "Oh I hope this works," it won't. Instead, you're going to open the door and expect it. Open the door and demand it. It's almost like, "Darkness, be gone! You don't belong here." Then know it's clear and get on with it. Today a new energy is developing that is for you, old soul. The wind is at your back for the first time in all of your lifetimes. You have arrived on a planet that is shifting and it's got your name on it. This is because you're going to carry the load for a while. What happens after that is where Human Beings start to see what you can do - and they will. There will be the true understanding that your process is real and not "alternate healing", but another main branch of healing. Many will start studying your methods. You will be the teachers and mentors. Eventually, many Human Beings will be able to be their own medical intuitives. The diseases of today will not be the diseases of tomorrow. We gave you that potential before, and the reasons are far different from what you expect. Do you realize what happens when cellular structures start to vibrate higher because of the consciousness of the individual? The answer is that old energy disease cannot attach itself to a higher, vibrating corporeal structure. Therefore, some of the diseases that are wiping you out today won't even exist tomorrow. This is because they can't get in. That's good news. Of course, there will be those who will laugh at this and say, "Did you hear the latest that Kryon said? Let's all gather around and laugh." For those I say, "I'll talk to you in 10 years." That's always my answer, dear ones. Humanity is starting to lift itself up, slowly. Different places will feel it faster than others. There are places on this planet that will stay dark almost till the last moment. You'll find dark pockets almost as though low consciousness has to be somewhere, until the last moment when it will then clear. I told my partner some time ago that his next lifetime will be in one of those pockets - and that his job will be to help with the clearing. Here is the last thing for the healer: When you go into a session, you tend to expect the results you always had. However, as good as it might be, your expectations limit the results. I want you to look at what you do and expect it to double. I want you to expect it to double because it will. What I mean by double is that the efficiency or the results of the outcome will be much, much higher. I want you to seeeverything double because that is the potential at this moment on this planet. The old souls who can see multidimensional energies and who are the healers and the medical intuitives are going to explode in their visibility. Doubling is for today, 10 times is for later, and that will get the attention of the hospitals. This is where the future is eventually going. Someday hospitals will have the allopathic and the metaphysical all together, depending upon which works for whom. All of it will be acceptable because there will be an understanding that it works. There won't be those running around trying to disprove it, either, because the results will not be marginal. This is going to be the future. Allopathic medicine will not go away because there is a place for it. There's a place for good medicine and doctors with integrity, and there's a place for a balance between that as well. All of it can come together in a balanced way that will be a new paradigm, instead of how it is now in tiny little boxes that compete with each other for who is right and who is wrong. All of these things, dear ones, come with a realization that you can't stay the same. For those of you who are entrenched in the old ways, I'll tell you that those around you will simply race past you and the angels around you will look at you and beg you to get on with it! You must realize that you cannot stay in one place with one reality and one idea when all that has changed around you. Just because you've had it all your life is no reason to believe it will never change. Be open to things you don't expect. Look at every door of the future as a benevolent door. If you walk through it and there might be a non-benevolent thing that takes place, deal with it in love. You carry the light. Dark things will scamper away when you show them light. What I'm telling you is that today there are solutions to things that had no solution in the past. This is because you carry more light than you ever have before, and light is your wisdom to see things differently. It's the light of an entitled old soul. You are not a victim of this planet. You are not a victim of a system. Your consciousness creates reality. When you walk through a door, expect things to be the way you want them to be. I've told you this before. When a lightworker of high consciousness goes into a place and expects a benevolent result, it's like ordering food on a menu of the universal restaurant of energy. You demand it because that is what the angelic realm around you has always told you is possible. 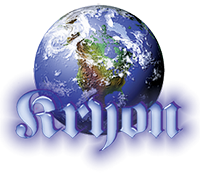 Many may say, "Well I believe the conscious part of Kryon's message, but why do you always have to bring the spiritual part into it?" There is a bias in the question. Do you see it? Humans tend to confuse the beauty of benevolence and compassion with the religion of today. You're putting these ideas into boxes of your own bias. The truth is this: The higher the consciousness of the Human Being, the closer to the understanding of the creative source they will be. The wiser the Human Being, the thinner the veil becomes between Human and spirit. The spiritual component of all this is the accelerator of the consciousness shift on the planet, because when Humans see what they can do, they'll understand. You can never separate the creative source from its creation.